Manchester United striker Marcus Rashford have been urged to join a club like Everton by Sky Sports pundit and former Liverpool defender Jamie Carragher. The 20-year-old centre-forward started for the English national team last night and managed to score the only goal of the game in the Three Lions’ narrow 1-0 win over Switzerland at the King Power Stadium. 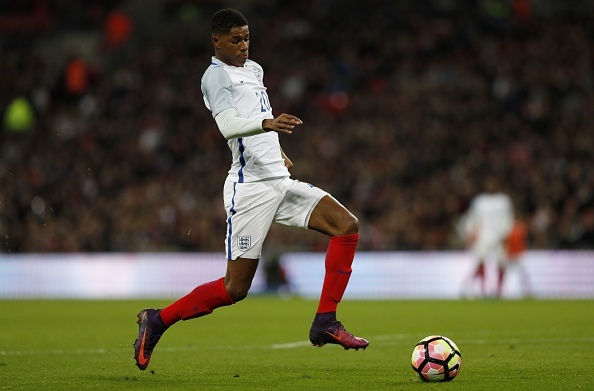 It is clear from Carragher’s words that he thinks Rashford needs to move to a smaller club to gain more first-team opportunities which would, in turn, help him stake a claim in Gareth Southgate’s first XI for the Three Lions. The English forward has hardly seen enough game time under Jose Mourinho so far this season. The Manchester-born youngster has made just three appearances for United this term, with two of them coming from the bench. The early signs indicate that he has been left frustrated with the lack of first-team action and maybe that frustration got the better of him when he was sent off against Burnley even though his team had a commanding 2-0 lead during his time of dismissal. The lack of regular football has also harmed his chances for England as he has been unable to justify his place in Southgate’s set-up ahead of Harry Kane, who is also going through a rough patch after looking tired in most of his games for both club and country during this campaign. What Will The English Forward Bring To Goodison Park? Rashford boasts outstanding pace, and at the tender of 20, he knows what it takes to win as evidenced by his trophies from his time at Old Trafford. The English wonderkid is a willing runner and can dribble past defenders with ease. He is also a poacher in and around the opposition penalty area and knows how to find the back of the net on a consistent basis. However, the United starlet needs to work on his link-up play with his teammates while he also requires to work hard on his physique as he is not a dominant figure up top. Is Rashford An Ideal Fit For Marco Silva’s Side? Silva is known to adopt an open, expansive style of football which would suit Rashford’s playing style. 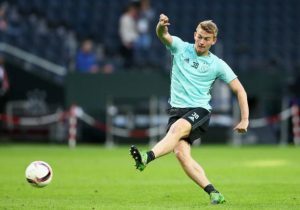 The English striker’s pace could be a tremendous asset for the Toffees if they manage to bring him to Goodison Park shortly. The likes of Cenk Tosun could use more assistance up top and Rashford has the talents and the skill set to be a perfect strike partner for the Turkish forward. He is bound to receive more game time at Merseyside which is why Carragher is right by suggesting that the English sensation should move on to greener pastures sooner rather than later if he wants to reignite his career in English football. Have Everton Found Their Kanté In This Combative Midfielder? Sunderland Vs Everton: Can The Black Cats Finally Pick Up A Win? Is This 21 Y/O Everton Midfielder Good Enough To Break Into Marco Silva’s Starting XI? Predicted 4-2-3-1 Everton XI Vs Manchester City: Can Koeman Continue His Dominance Over Pep?